WEEHAWKEN, NJ – A gem of a town that lies between what used to be the embroidery capital of the United States and arguably one of the most spectacular city skyline views in the world. Steps away from the shot is a lovely steakhouse where I enjoy my rib-eye steaks well done with the edges charred to perfection. 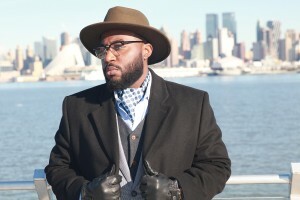 The backdrop used for this shoot is none other than the New York City skyline and a bite size mansion that sits atop a cliff. 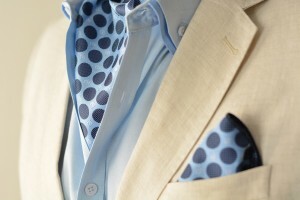 The Sterling Ascot featured in this shoot is the Bubble Blue Ascot. 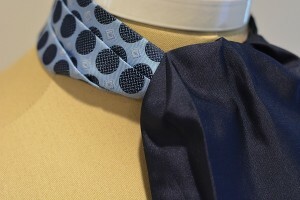 The Bubble Blue Ascot (left) is the older sibling of the Sterling Navy Reversible Ascot (right). As the day progresses and the temperature drops considerably, my photographer Ryan (@Ry_Mcfly_), does a phenomenal job of capturing these still shots with his Canon and providing plenty of bokeh to enhance the parts of the image that are in focus. The deep blue colors in the polka dots blend in heavily with the Henry Hudson River. 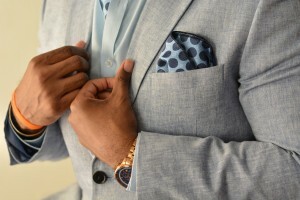 The ascot also has strong traces of baby blue coloring which resembles the delicate winter blue sky. All the blues from the ascot, the shirt, the vest, and the blazer come together to complement each other like a comfy couch and television on NFL Sunday. 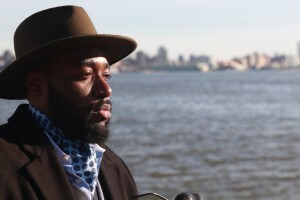 The Bubble Blue Ascot provides the proper aesthetics that will pop but in an oddly safe way. 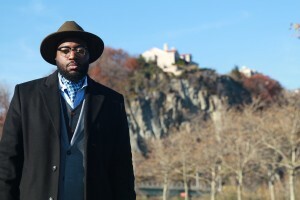 When making a bold statement such as sporting an ascot, safe usually isn’t a word that is used. The mixture of blues in the Bubble Blue Ascot still allows you to make a bold entrance into any room without screaming for attention.